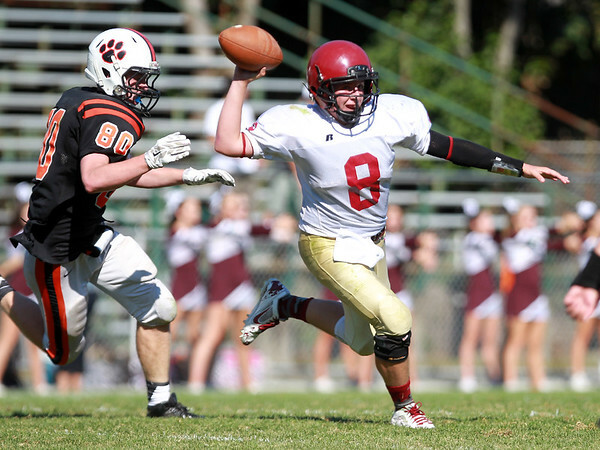 Gloucester junior quarterback Mike Cody (8) scrambles out of the pocket and looks to throw downfield while being pursued by Beverly junior Ryan Garrity (80). The Fishermen fell to the Panthers 30-16 in NEC action on Saturday morning. DAVID LE/Staff photo. 9/27/14.